New facility will set Apple back $1.375 billion. Apple has announced it is planning to build two new data centres in Waukee, Iowa. Reuters reported that the two new data centres “will create hundreds of jobs for people in Iowa from construction to engineering,” Apple CEO Tim Cook said, although it was left unclear how many of those jobs will remain once the data centre is actually built. 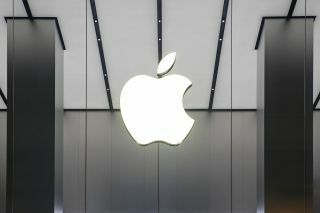 The new facility will set Apple back $1.375 billion, although $207.8 million will be received in incentives approved by the Iowa Economic Development Authority and Waukee city council. The company will buy 8.09 square km of land in Waukee, some 30 kilometres west of Des Moines, and will get $19.65 million investment tax credit for creating 50 jobs. Tim Cook also said Apple will contribute up to $100 million towards a “public improvement fund” for Waukee. According to Reuters, $110 million will be needed to purchase and prepare the land, while $620 million will be used for construction. Another $600 million will be spent on computer equipment, and $45 million on ‘other equipment’. Apple is now joining Facebook and Google, who are already operating data centres in Iowa.